This past week I’ve been rushing around different cities and basking in the rays of Taylor Swift in Glasgow and Manchester, which has left little time for reading. However, today I finished my 34th book of the year and the 2015 Reading Challenge: ‘The Hunger Games’ by Suzanne Collins, which forms the first part of #32 A trilogy – I always planned to re-read this trilogy before ‘Mockingjay Part 2’ hits cinemas in November. It’s one of my absolute favourite novels! “‘The Hunger Games’ is the first novel in a dystopian trilogy, set in Panem (a newly reorganised USA, following an uprising) which comprises 12 districts and the Capitol. As retribution for the uprisings, every year each district must offer up one male and one female (12-18 year old) tribute to fight to the death in a pageant of honour and sacrifice, until a lone victor remains. Spoiler free review aside, I would at this point like to firmly state that I am Team Peeta. I understand those who favour Gale, especially what with his close bond with Katniss, but there is something about Peeta’s selfless and kind-hearted nature that makes me want to never let him go. Secondly, I absolutely adore Katniss – she is the heroine every YA book deserves, yet almost always fails to include. Whilst she doesn’t love many things in her life, those she does love she cannot live without – and this is crucial to the plot, especially with reference to the reaping. 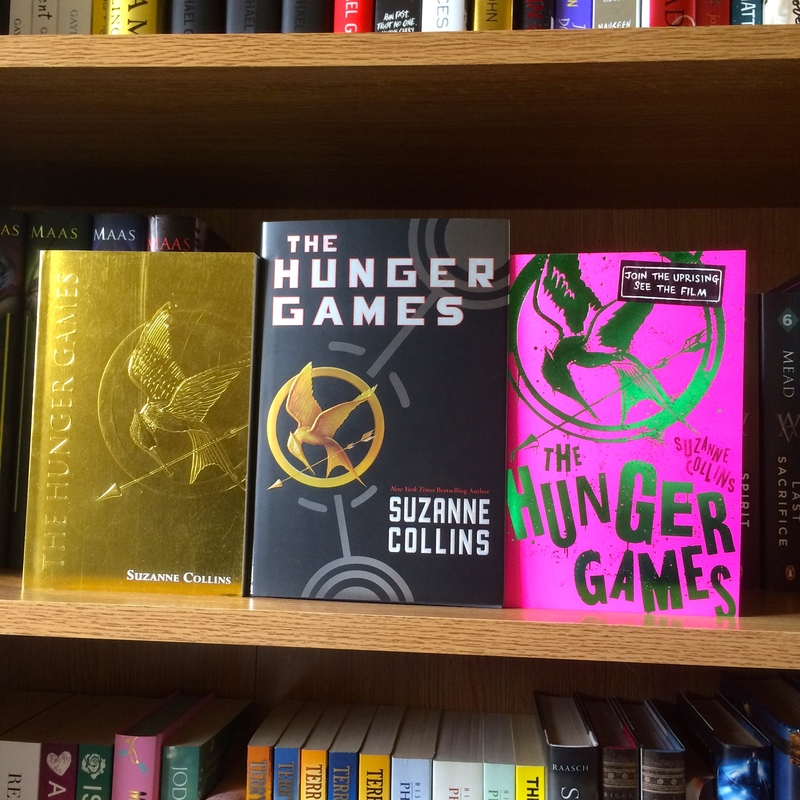 Simply put, ‘The Hunger Games’ is one of my favourite books of all time!